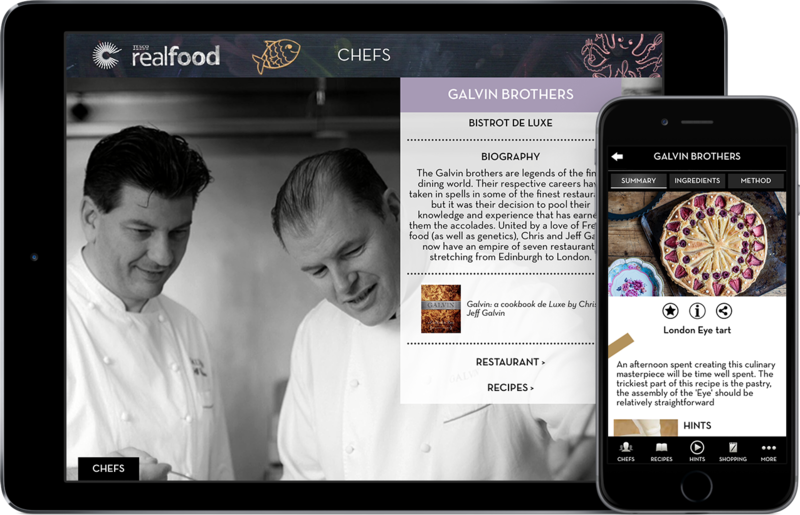 The app features 21 great chefs. Marcus Wareing, Nathan Outlaw, Alfred Prasad, Galton Blackiston, Shaun Rankin, Frances Atkins, Bruno Loubet, Adam Gray, Galvin Brothers, Mark Dodson, Alyn Williams, Marcello Tully, Matthew Tomkinson, Adam Bennett, Andy Waters, Dominic Chapman, Colin McGurran, William Drabble, Lisa Allen, Josh Eggleton and Shaun Hill. 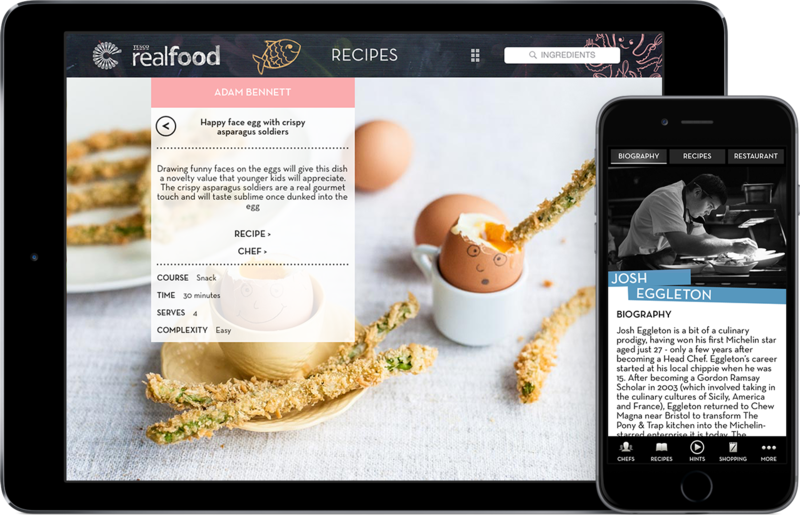 This free app, developed in association with Tesco Realfood, contains 105 easy-to-follow recipes, which have been specially conceived to be cooked with children. The recipes range from inventive dinners such as ‘pizza hearts’, ‘campfire chilli con carne’ or ‘Rice Krispie fish fingers’ to special treats like ‘bacon roly polies’, ‘choux caterpillar’, ‘sweetcorn and tomato muffins’ and ‘popping chocolate orange bites’ to tasty desserts like ‘tropical fruit rockets’ or ‘London Eye tart’. There's also a series of 25 exclusively created How To videos demonstrating a range of basic cooking techniques including How To Beat an Egg, How To Ice a Cupcake and How To Crumb Butter and Flour. 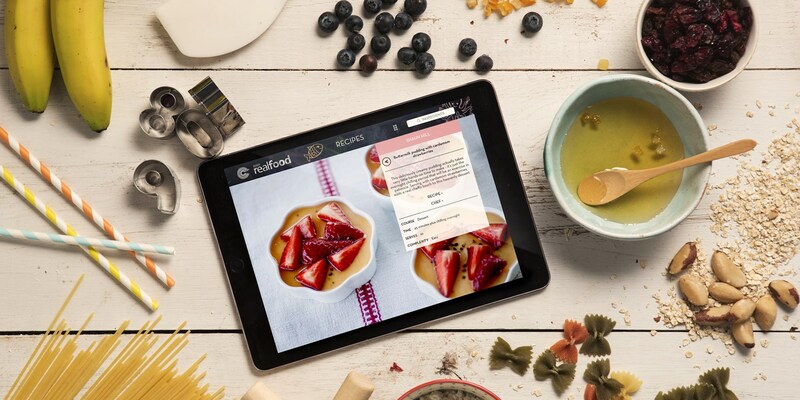 105 beautifully photographed recipes, the ingredients of which all link through directly to TESCO’s website so you can buy whatever you need in a click. Recipes include cooking times, equipment, cooking tips, Guideline Daily Allowance (GDA) and clear method steps. Making the cooking process easier, the voice control function allows you to cook without even touching your iPhone or iPod. View the ingredients by aisle, add your own ingredients and email yourself or a friend a shopping list.